Ireland U20 head coach Noel McNamara has made five changes to his side to play Georgia in their final group game at the World Championship in France tomorrow evening. 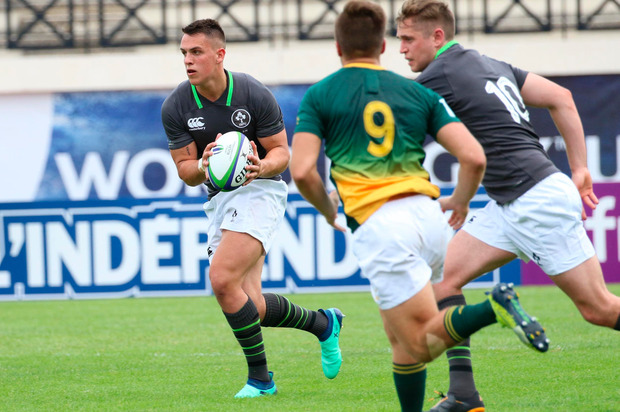 Despite spirited efforts against France and South Africa, Ireland are seeking their first win of the tournament against the Geogians, who have also been competitive without picking up a victory. In the backline, wing Peter Sullivan has come in for Tom Roche while Michael Silvester, one of Ireland's standout performers, is replaced by Peter Sylvester at fullback. Scrum-half Hugh O'Sullivan, who started the opening game against France, returns to the side in place of Jonny Stewart. In the pack, there are also three changes, with second row Matthew Dalton in for Cormac Daly while flankers Joe Dunleavy and Matthew Agnew are replaced by Aaron Hall and Jack Daly. The game kicks off at 5.30pm Irish time tomorrow evening.